Shirako, called milt in English, are the seminal vessels typically harvested from cod, and sometimes from anglerfish, salmon, squid and pufferfish. The harvested sperm sacs are tube-like in shape, usually white or light pink in color, with the layout and consistency of brains. Shirako translates into “white children” in Japanese. It’s served in multiple ways, raw, fried, steamed, and as a topping in other dishes. 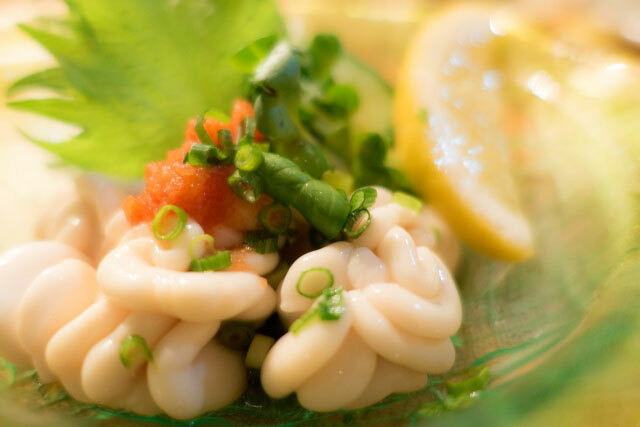 When served raw, the shirako is doused in ponzu and garnished with grated daikon, shiso or finely chopped scallions. In this form, the shirako has a mild, creamy texture with a taste like the freshest seafood from the ocean. Shirako is also served steamed, sometimes incorporated into chawanmushi, an egg and seafood custard, and other times served on its own. More popular ways to eat shirako include tempura-fried, pan-fried or grilled yakimono style. When cooked in these ways, the shirako becomes firm and defined on the outside and custard-like on the inside. Shirako can also be added to nabe, or hotpots, and as part of gunkanmaki, or battleship sushi, where it fills a depression created on rice with a nori wrap. Shirako is harvested in winter along the cold waters of the Sea of Japan. It’s typically enjoyed as pub food at izakaya and sushi bars, with an alcoholic beverage. It can also be found at street food stalls in major markets around Japan, like the Tsukiji Market in Tokyo. 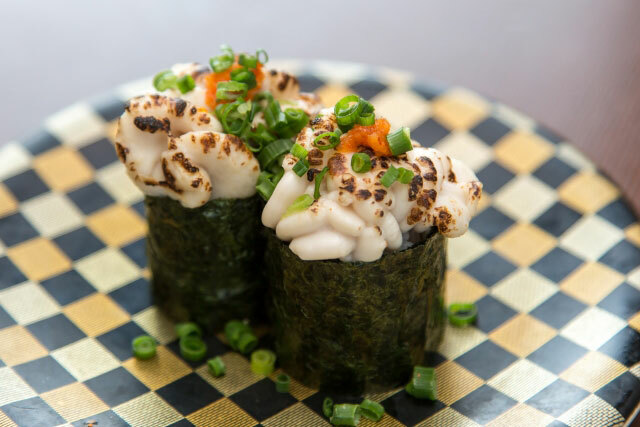 A popular version of shirako is when it’s served as part of a seafood mix, raw or barely charred, on the half-shell! As an acquired taste, shirako is probably more easily tried than some of the other foods we’ve explored! But for those who love caviar or Russian moloka, shirako is a great variation on these kinds of foods. Have you had shirako before? If so, tell us about your experience! Rice cookers are our flagship product, and over the years, we’ve created rice cookers with superior technology married with practical features and stylish design. Our Induction Heating System Rice Cooker & Warmer (NP-HCC10/18) beautifully combines these three elements to prepare perfect rice, every time. The Induction Heating System Rice Cooker & Warmer comes with nine menu settings, including White Rice, Jasmine, Mixed, Sushi, Porridge, Sweet, Brown, GABA Brown and Quick. Additionally, the White Rice menu setting can be customized by selecting from three textures, including regular, softer and harder. For each of these menu settings, the triple heater surrounds the thick inner pan on the bottom, sides and in the lid, evenly cooking the rice. 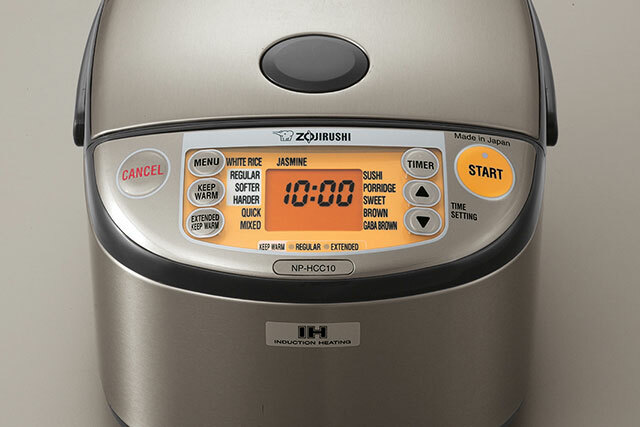 Along with the triple heater, this rice cooker utilizes induction heating (“IH”) technology. Unseen beneath the surface of the rice cooker, coils create a magnetic field which helps rapidly heat the thick inner cooking pan. Because of this structure, an IH rice cooker responds quicker and can heat faster than a non-IH, allowing more precise temperature control. These fine adjustments during the cooking process are also what makes this rice cooker perfect for cooking GABA brown rice. 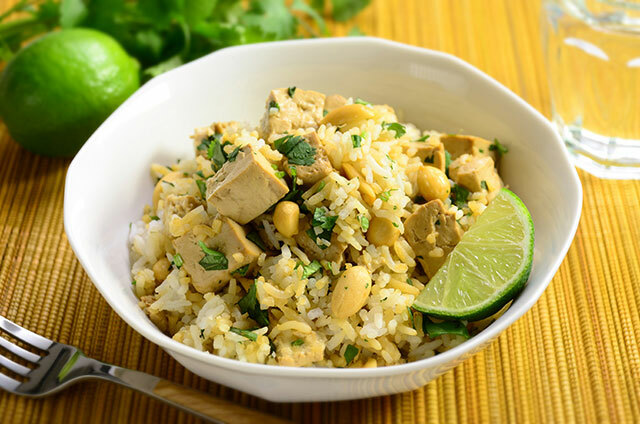 GABA, which stands for gamma aminobutyric acid, is a beneficial nutrient that is activated when brown rice is soaked and warmed prior to cooking. 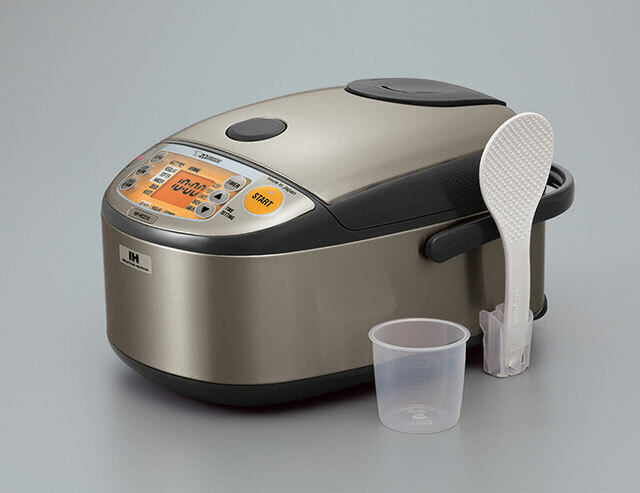 This Induction Heating System Rice Cooker & Warmer’s GABA Brown setting takes care of heating and soaking the rice for longer lengths of time and at a low temperature to activate the rice before cooking it. Whether you’re cooking GABA brown rice or traditional brown rice, we love this Brown Rice recipe for the delicious and fluffy result. Cooking white rice is also an art in this rice cooker. Our classic White Rice recipe ensures a perfect result every time. Be sure to correctly measure and wash the rice prior to cooking, following our easy instructions. Preparing sushi is also easier when starting with this rice cooker, as the Sushi setting results in no-fail rice each time. Once the sushi rice is ready, simply mix it with the ingredients in our recipe and use for rolls or chirashi bowls. Tofu Jasmine Fragrant Rice is also ideally prepared in this rice cooker, as the aroma and length of the grains of the jasmine rice is wonderfully preserved during cooking. And for a really authentic taste of Japan, Sweet Rice Cooked with Adzuki Beans is beautifully started in this rice cooker. Even unique dishes such as Dijon Shrimp and Tomato Rice are a joy to make with rice cooked in the Induction Heating System Rice Cooker & Warmer. Really, there are so many recipes that are easy to cook with this rice cooker! The rice cooker comes in two sizes, 5.5 cups or 10 cups, and features an easy-to-read LCD control panel and a stylish stainless steel body with an easy-to-clean clearcoat finish. The nonstick inner pan and inner lid are removable and fully washable, making them both easy to clean with mild dish detergent and warm water. The machine comes with a delay timer that lets you have rice ready when needed. For example, you can set the program in the morning and come home to hot rice, just prepared. And the Keep Warm and Extended Keep Warm settings keep the cooked rice warm until it’s ready to serve. The Induction Heating System Rice Cooker & Warmer is made in Japan and comes with a rice measuring cup, spatula and spatula holder. We know you’ll love this rice cooker! Let us know about your favorite recipe in the comments below! 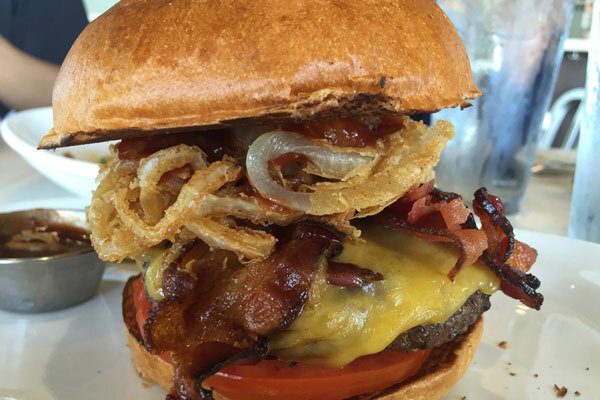 May is National Hamburger Month! 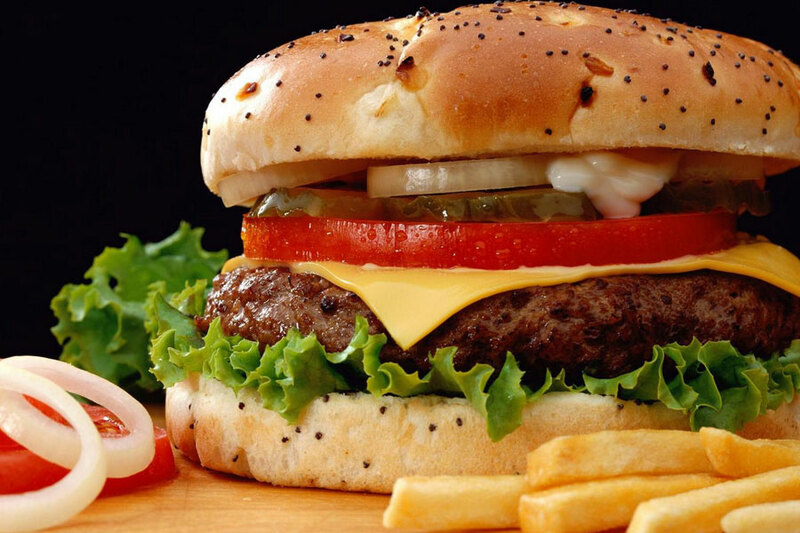 And May 28th has been declared National Hamburger Day (at least here in the U.S., where the hamburger is king). Who knows how these holidays get started? I had a hard time even trying to figure out who invented the hamburger. After doing some research online, the only thing that seems certain is that there are conflicting stories and several people are taking credit. But the consensus seems to be that the city of Hamburg, Germany, wasn’t really the origin of the hamburger sandwich—rather, it was where we got the hamburger steak. OK, once I start hearing everybody claiming to be the inventor of something, I lose interest. But the best story I read was that Genghis Khan can actually take credit for ground beef. He apparently had to figure out a way to feed his troops while they pillaged and conquered as a mobile army on horseback, so he packed wrapped slices of raw meat under the saddles of his men. Eww! The meat would crumble under the pressure and movement as they rode, and the friction would mince the meat—how about that; a successful raid and a ground beef patty at the same time! I’m not sure whether they ate it raw or not. And here’s something else you may not know, unless you’re Japanese. When I first started working in Tokyo, I found out there is a difference between a “hambahgah” and a “hambahgu”, with the emphasis on that last syllable. Our beloved All-American sandwich is a “hambahgah”; considered to be a distinctly foreign food by the Japanese. 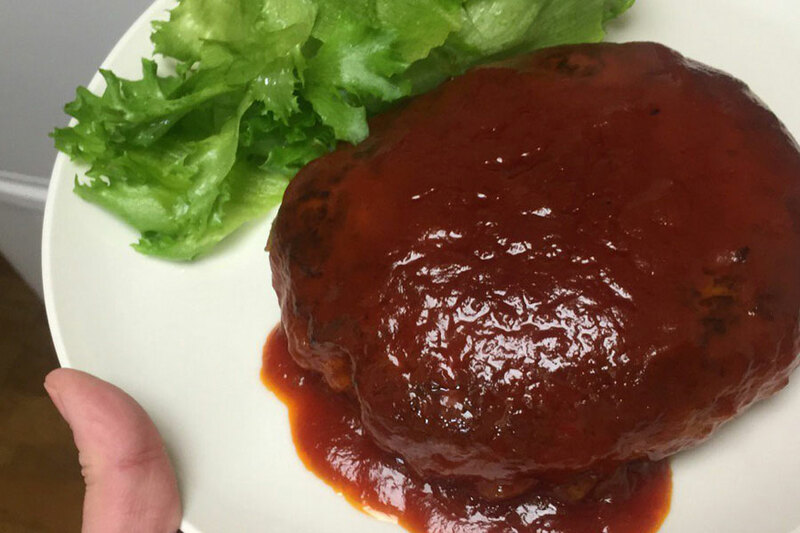 The “hambahgu” is really a traditional hamburger steak, introduced to the world by the Germans and adapted to Japanese tastes. These are the subtleties you’ve got to learn! We sure know how to make ‘em, don’t we? Note the sauce, a rich demi glace that is the heart and soul of this dish, in my opinion. 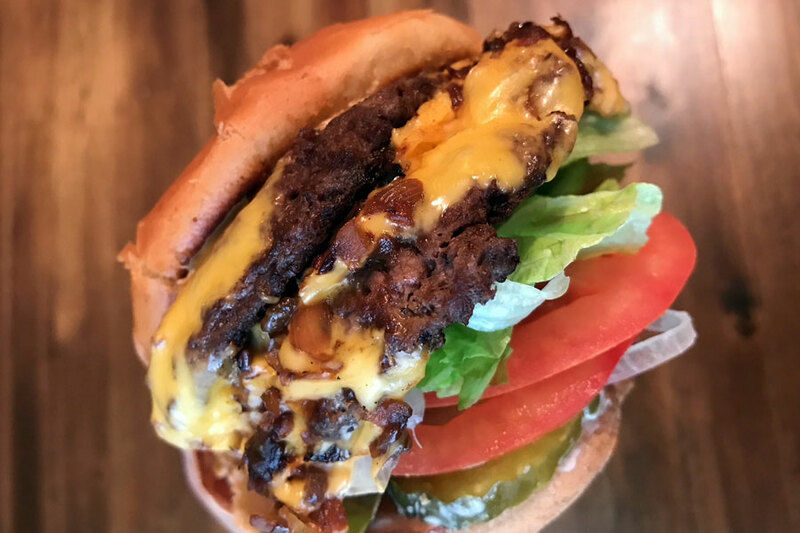 The patty is usually a combination of ground beef and ground pork, with a bread crumb filler to make the ingredients go further. I love it this way—it’s a similar texture to our American meatloaf. Served with a plate of plain white rice on the side, the hambahgu is one of my favorite childhood memories, and one of the best dishes you can eat with rice (see last month’s Zojirushi 101 for more). Although I prefer the classic demi glace on mine, you can find hambahgu at restaurants served with tomato sauce, ponzu with grated daikon, and/or topped with a fried egg or melted cheese. •During WWI, hamburgers were known as “Liberty Sandwiches” because we wanted to avoid using any reference to Germany, which was considered the main instigator of the war. •Current eating champion Sonya Thomas (aka Lee Sun-kyung), who holds records in over 25 eating competitions, once ate a 9-pound cheeseburger in 27 minutes. She is known as the “Black Widow” because she continually defeats men 4 to 5 times her size in eating contests. Sonya is 5 feet tall and weighs 98 pounds. LOL. •In the 70s, a Big Mac® advertising campaign became very popular when a catchy jingle was nothing more than naming all the ingredients in the hamburger. Everyone would try to memorize it and sing it. Even if you’re too young to remember this commercial, can you name the ingredients in a Big Mac? •In 2003, animal rights group PETA offered the city of Hamburg, NY, $15,000 to change the name of their town to Veggieburg. They said the city’s name “conjured up visions of unhealthy patties of ground up dead cows.” Hamburg declined the offer. 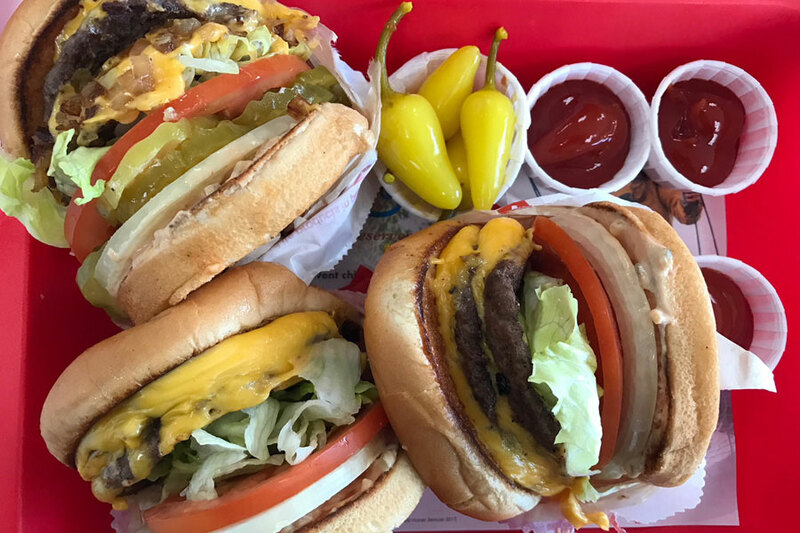 Try to guess the name of the fast-food burger just by looking at the picture. For the answer, read my post for more hamburger fun. There are hints everywhere! 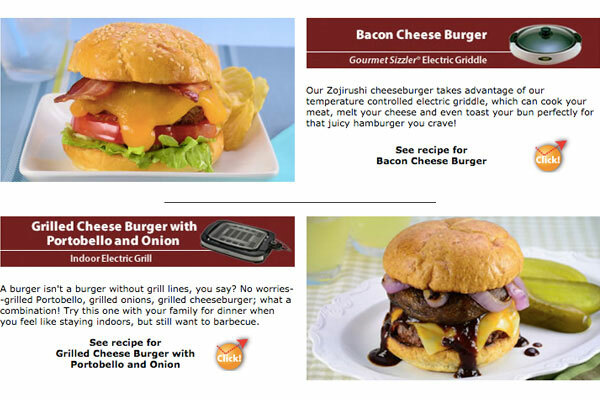 Try these hamburger recipes from Zojirushi—it’s another excuse to use your griddle or grill while you celebrate National Hamburger Month!